I'm getting my summer wardrobe ready for the upcoming intense Texas heat! I'm excited to make cute little dresses that I hope to wear rather than shorts and a t-shirt. I found this adorable Isla pattern from Made By Rae (I've blogged about MBR before here) and just love the shape and ease of it. 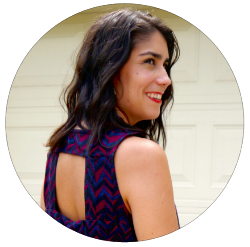 It has cute capped sleeves, fitted bodice and gathers at the waist. The Isla pattern can also be made as a shirt but I decided to make two dresses. 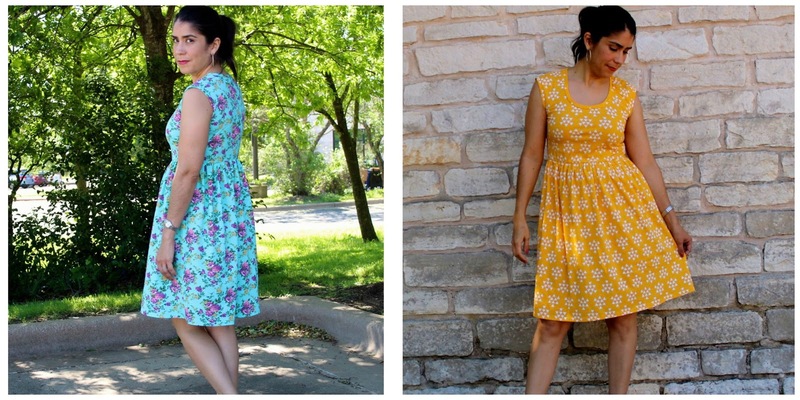 For both dresses I used fabric purchased from Girl Charlee and both are cotton jersey knit. Both fabrics do not have too much stretch which was something that I had overlooked. I ended up making an adjustment the second time I made this dress. 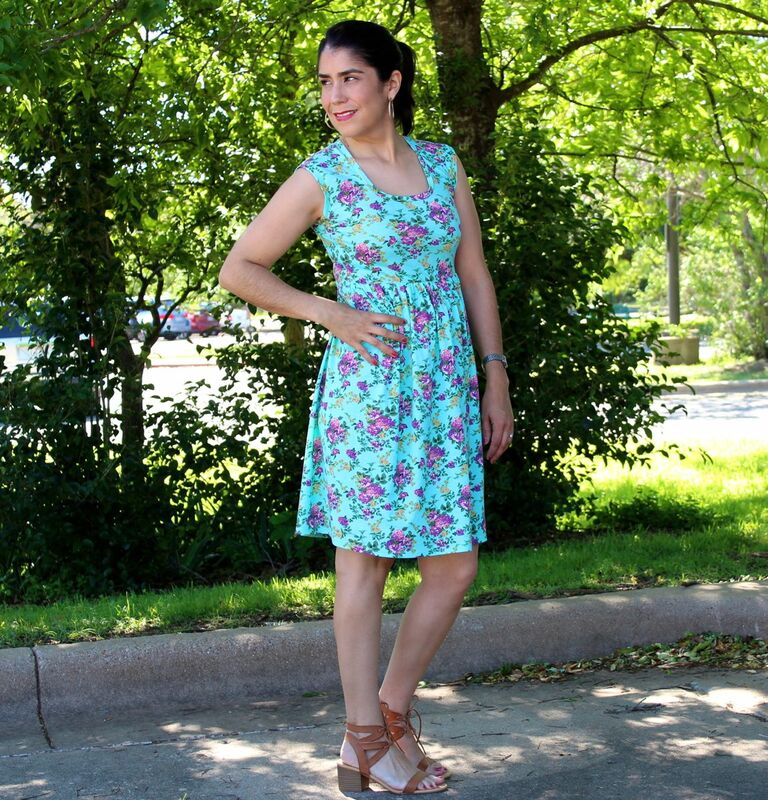 The first dress I made is in this pretty turquoise and floral fabric, I cut size Medium. As I started making the dress and trying on the bodice, I realized my fabric didn't have enough stretch. The bodice felt a bit more snug than what I'm used too. The arm holes also seemed just a bit small too. I also felt that the waist line could have been a little lower as well. The directions on the pattern say you can lower the waist an inch for longer torsos but I don't think my torso is that long. I cut the pattern as is it. I was pretty happy with the result but wanted to see how it would fit with the bodice being a little bit bigger. 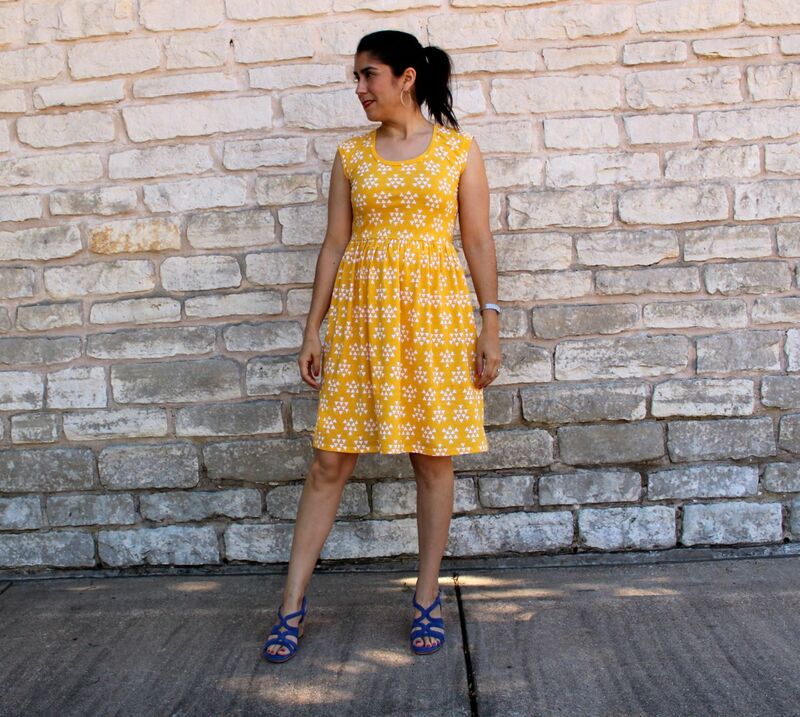 The second dress I made is in this fun yellow print. I cut out a size Large for the bodice and left the skirt part as a Medium. I think this adjustment worked out better for the little stretch of my fabric. So lesson learned! Pay attention to how much stretch the pattern calls for!! Anyway, I really love this pattern. 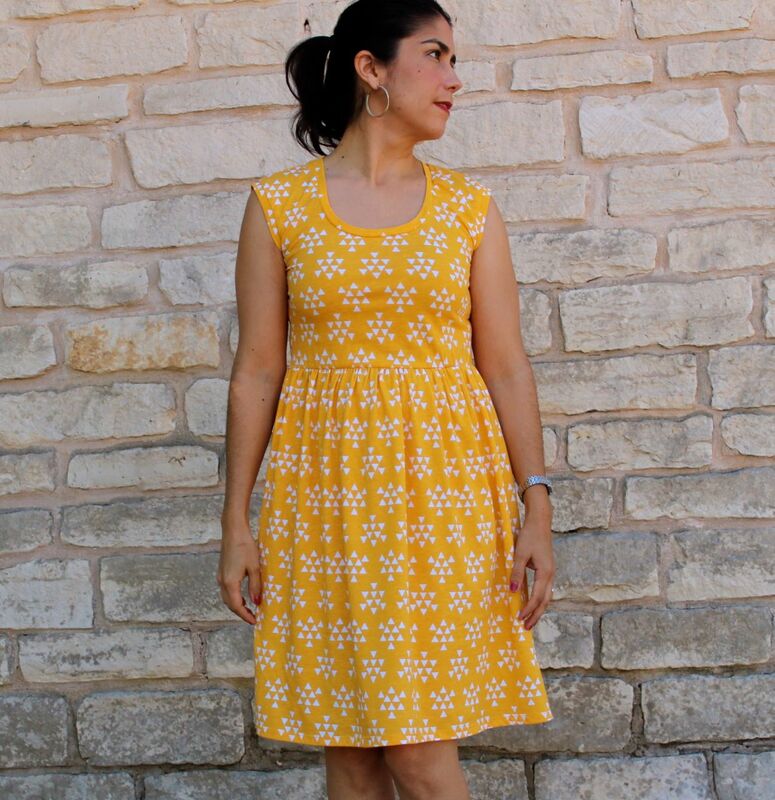 I think this dress is perfect for warmer weather in a light weight knit fabric. The pattern directions were every easy to follow and I recommend this for beginning sewing students.